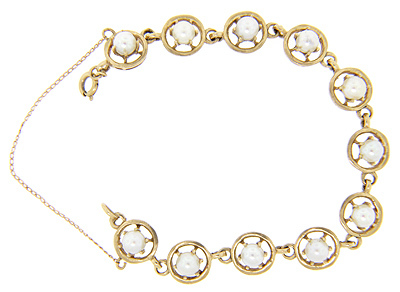 A single lustrous pearl is set in the center of each link of this 14K yellow gold vintage bracelet. 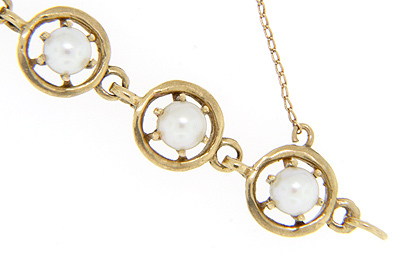 The shape of the links mirrors the pearls’ round contours. A safety chain helps keep the bracelet secure on the wrist. The bracelet measures 7” by 3/8”. Circa: 1950.